I’m over on Houzz today posting about 20 ways to get the coastal look without the kitsch; click over and check out a few of my ideas for creating a beach house style of your own! Reader Poll: What are your favorite sources for artwork? Tear sheet. 3 Responses to "Beach house style." Love that bar cart! 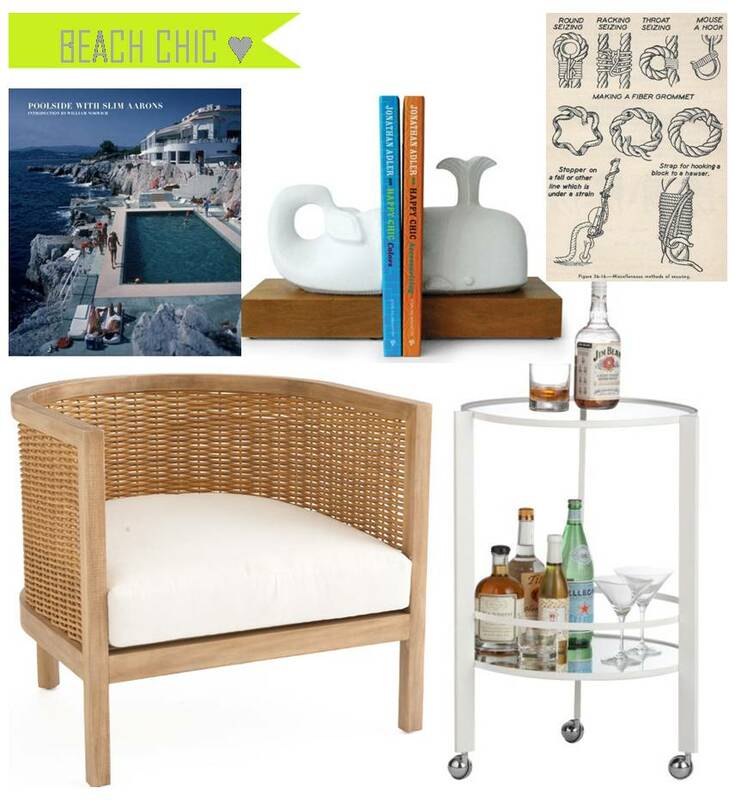 It’s perfect for a beach bungalow without much space. Loving absolutely everything on this list! I need a better place to entertain with all of these beauties, and a cute bookshelp for that adorable whale!